In just a few years, Josh Butler has firmly established himself as one of house music's most revered talents. 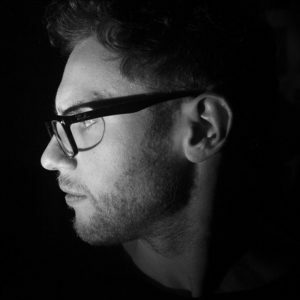 Following the unexpected success behind his debut ‘Got A Feeling’ in 2013, Josh soon went on to pick up multiple industry awards from Beatport and DJ Mag, whilst releasing on Roush, Cajual, Madtech, Avotre, VIVa and Noir to name just a few. Add to the mix remixes for Fatboy Slim and Macy Gray, or warming up for the multi-grammy award winning Nile Rodgers and Chic, and it’s easy to see why his diary has seen him tour the globe with numerous summer-long Ibiza residencies at Sankeys and Ibiza Rocks amongst others, festival appearances including Glastonbury, SW4, Defected Croatia, Parklife, Secret Garden Party, and multiple US and Australian Tours. 2016 saw the launch of his label Origins, with Josh welcoming the likes of Marshall Jefferson, Todd Terry, Robert Owens and Santé to the imprint since, scoring his second Beatport #1 through his and Bontan’s stand out ‘Call You Back’ in early 2017. Add to the equation EPs on Kaoz Theory, Rejected and Defected, collaborations with Kerri Chandler and Darius Syrossian, and remixes for industry heavyweights Carl Cox and Joris Voorn, and it’s clear to see that Josh Butler is only just getting started.